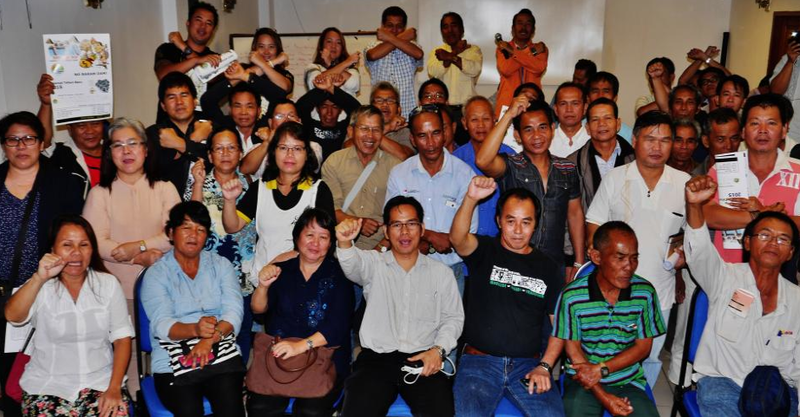 MIRI – Baram villagers are appalled by the government’s acquisition of their 38,322 hectares (or more) of their Native Customary Rights land (NCR) for the Baram Hydroelectric dam development of reservoir site. Notification of the gazette dated the 22nd December 2014 was published in Borneo Post on the 8th of January 2015. Based on the gazette notification, the Baram NCR land is acquired by the Minister of Resource Planning and Environment in exercise of the power conferred by Section 5(3) and (4) of the Code (Cap. 81) of the Sarawak Land Code. Based on the stated land code, the land owners are given 60 days from the date of publication of the gazette to submit their claims for the land and there is no provision for objections. Gazettes using the same section of the land codes were also used earlier to acquire NCR in Baram for the access road to the proposed site of the projected Baram dam and the land for dam itself. Those gazettes have also received strong objections from the people of Baram. But preparatory works for the dam have started despite of the resistance. So blockades to stop those works have been placed by the villagers so since 23rd October 2013 site works have stopped. Fighting against the extinguishment of rights to their Native Customary Right land, in the earlier gazette, a group of villagers from Long Keseh and Na’ah have filed a suit in November 2013 against the Minister of Resource Planning and Environment. Anyie Eng and five others from the two villages are challenging the constitutionality of Section 5(3) and (4) of the Sarawak land Code. The case is still pending in the High Court. To date, EIA report (Environmental Impact Assessment) which is mandatory for the project to proceed is not completed. So, Mr. Harrison Ngau, the land right lawyer for Anyie Eng and the five others, in commenting on the latest gazette said, “It is against public policy and law that the minister issues the said direction before the completion of the EIA report.” He said that in doing so the minister “makes a mockery” of the environment law, as stated in the Natural Resources and Environment Ordinance. A meeting for Baram villagers was called in Miri after the publication of the gazette in order to get their feedbacks on the extinguishment of their ownership right for lands. At the meeting there was a unanimous opposition against the gazette. It was agreed that the matter is referred to their lawyers for court action.